Mrs. O's knockout style at round two of the Presidential Debate. Where: The second “town hall” Presidential Debate at Hofstra University in Hempstead, New York. 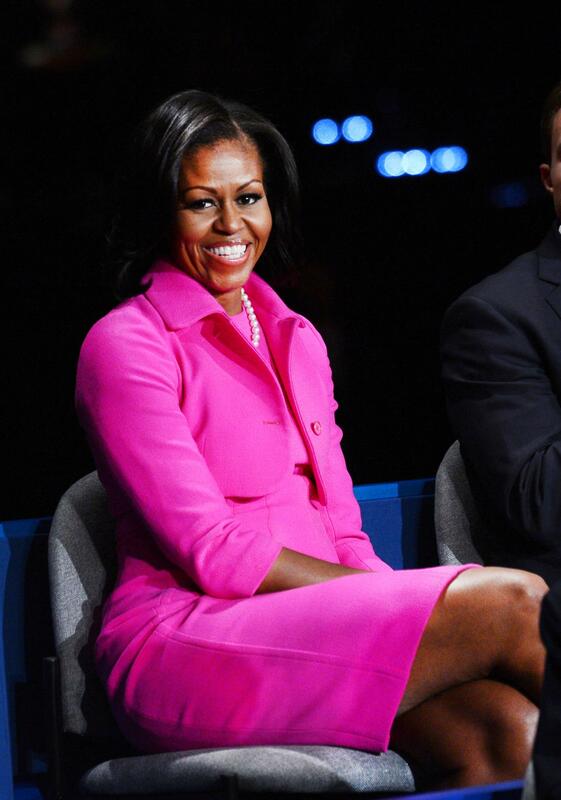 What: Michelle Obama’s pink ensemble. Why: The First Lady stepped out fiercer than ever at round two of the Presidential Debate in a hot pink dress suit. The cropped jacket and matching form-fitted shift dress is a classic look, but in this popping shade of pink it lends a fresh update to the style (perhaps an homage to Breast Cancer Awareness month?). And of course, her signature single-strand pearls completed the look superbly.